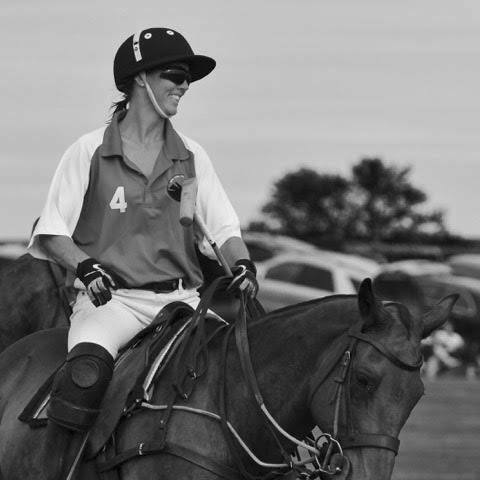 Kelly Wells is a lady that gives great polo lessons; she loves her players with all her heart, takes an active part in their career and takes care of them as a family. Kelly is truly an inspirational role model . 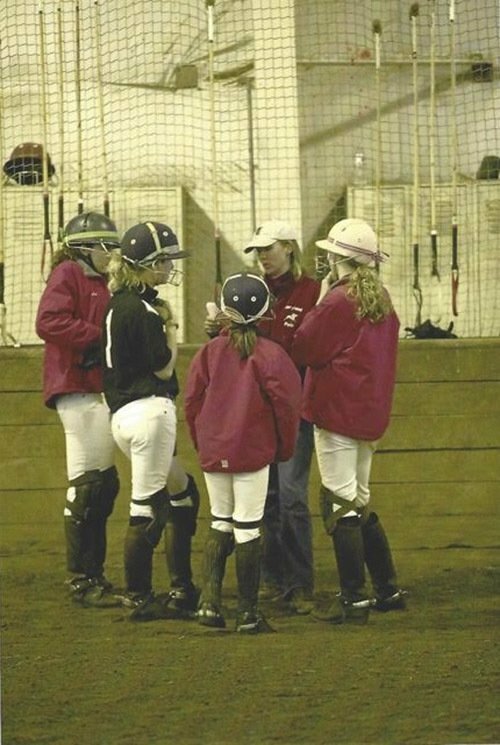 I started coaching girls’ polo at Garrison Forest School (an all-girls high school) from 1997-2003. 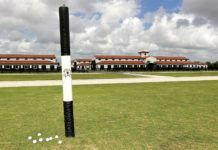 I opened up my current polo school, Marlan Farm in 2004, and have been teaching polo lessons here for the past 12 years. 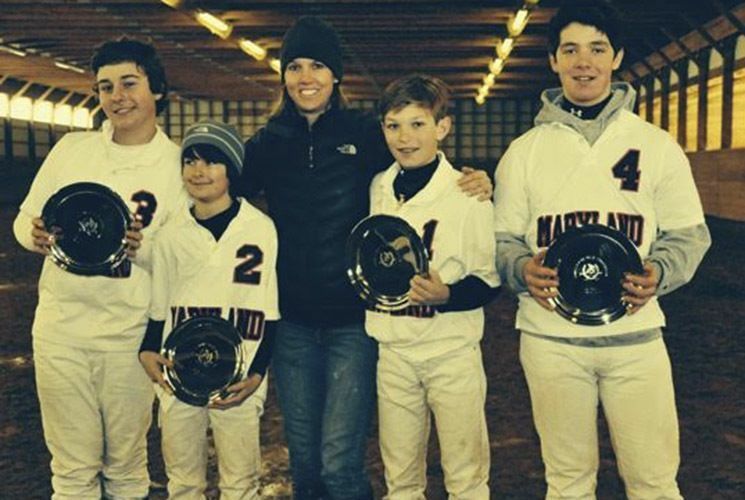 I coach the Maryland Polo Club interscholastic teams (both boys and girls). I have a Master’s degree in Special Education but never really worked in the classroom. I did work for two years at a juvenile delinquent facility for girls in upstate NY with very difficult girls. I enjoy working with kids and developing players. It is always my goal to get each player to reach their potential throughout the season and by the time they graduate, to be the best that they can be at the game. 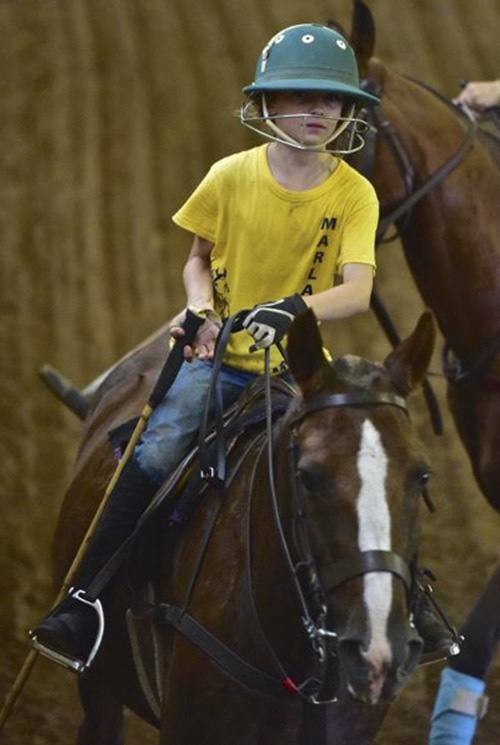 At my farm, I have an indoor arena, an outdoor stick and ball field, enclosed hitting cage and 29 polo ponies. 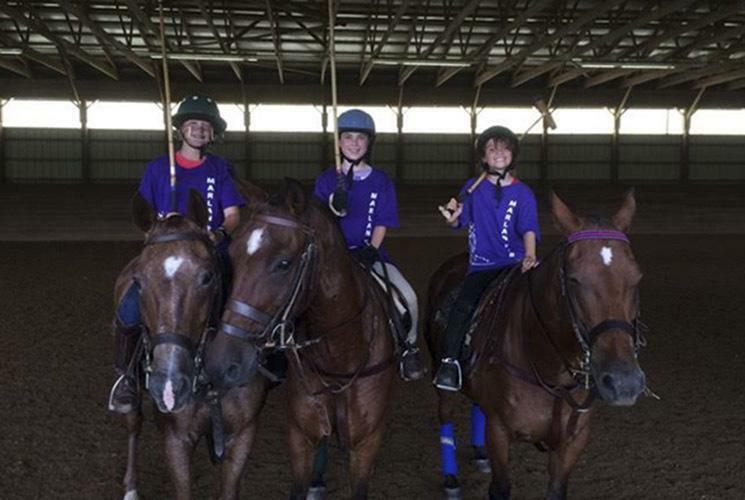 In addition to the boys’ and girls’ high school teams, I teach young beginner polo players and beginner adults. My goal each year is to take my girls’ high school team as far as I can. They work with me 2-3 times a week and their efforts paid off this year. I had a number of mentors who helped me to become the coach I am today. 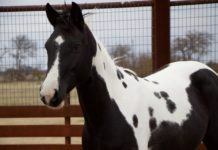 First, I had exceptional riding instructors growing up, Jean and David Raposa from Clinton, NY. 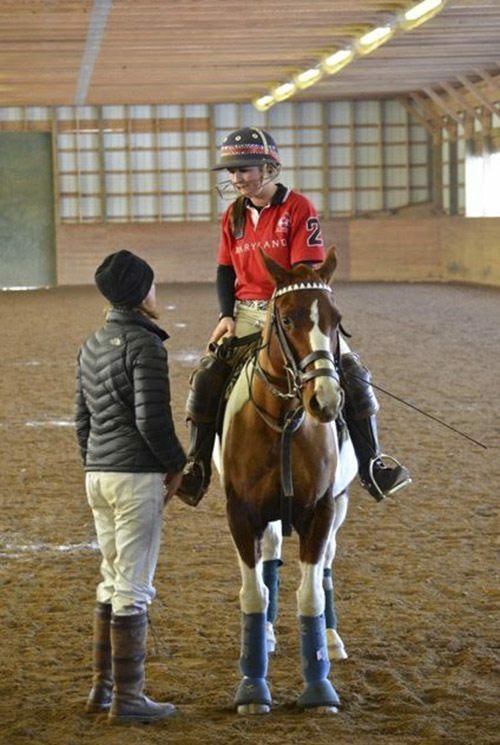 They pushed me to reach my potential in the equitation world; it was a very disciplined area of riding, and I showed a 17.2 hand TB in the Medal and Maclay classes. 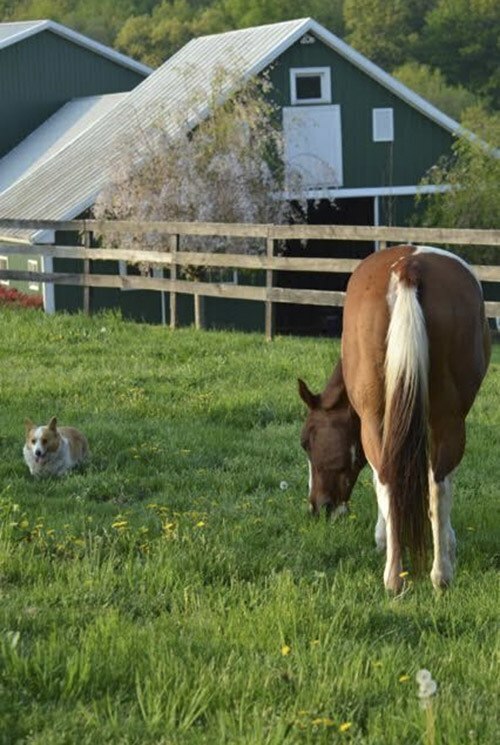 I attribute my knowledge of strong riding to them. My father, Dale Chambers, learned to play polo at Cornell and played polo when I was growing up, as did his two brothers, Mike and John. 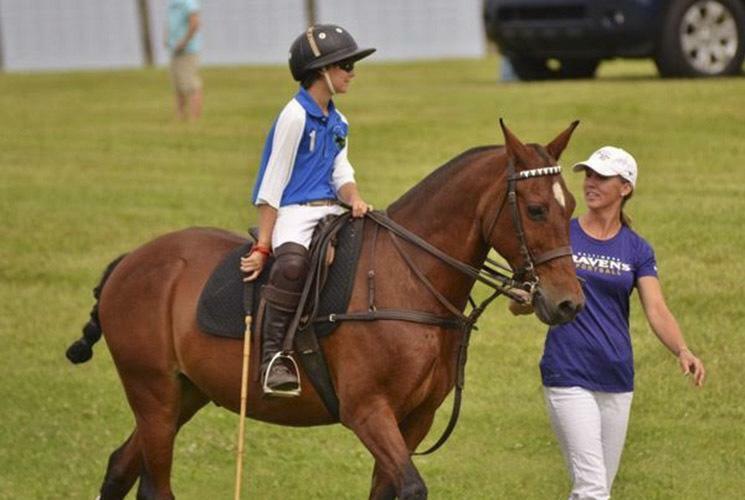 I would watch outdoor polo games in upstate NY as well as at Cornell (arena polo) all throughout my childhood, so I think some of the strategies of polo were forming at a young age. 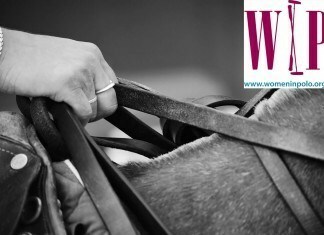 That and the knowledge of walking sweaty horses and cleaning polo tack… I went on to Cornell where David Eldredge taught me how to be a strong arena polo player. 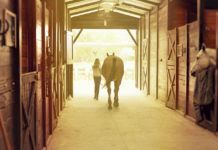 I could ride well, but he taught me to play the game, work with a team and to win. I have always been very competitive and analytic. 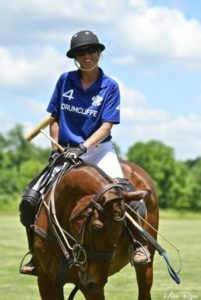 I have taken numerous Rege Ludwig clinics as an adult as a way to learn how to improve my own outdoor game and it has definitely helped me to teach students the swing and the best way to ride to be successful in polo. 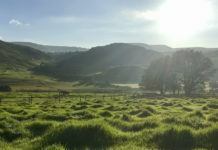 I have taken all of the advice and knowledge over the years from the instructors who have been in my life and developed a style that seems to work. My 1998 girls’ team won the Open Interscholastic title (against boys’ teams). In 1998, GFS defeated both Valley Forge Military Academy and Culver Military Academy in the National Tournament, both military school boys’ teams. Back in the 90s the winner of the girls’ National tournament was offered the opportunity to play in the Open tournament and challenge the boys’ teams. This ended after the 2007 season I believe, because there were so many girls’ teams and so many boys’ teams being formed, that the girls’ Nationals were thought to be big enough and prestigious enough to stand alone. High school polo has definitely grown throughout the years. I remember when I first started, that there were a handful of girls’ teams nationally, and now there are preliminary tournaments and regional tournaments with teams qualifying for nationals. There are 20+ girls’ teams now. My primary focus in coaching has been the girls’ side. We celebrated the 25th anniversary of girls’ high school Nationals this year. I have coached teams in the last 19 consecutive girls’ Nationals tournament. I have had teams in 15 final games, won 11, and lost 4 (by goal margins of 2 in 2004, 1 in 2008, 3 in 2011 and 1 in 2013.) This year’s team was the youngest to ever win a Nationals and the youngest that I have coached to such a great feat. I am very proud of the dedication and hard work they put in to reach this goal. They are incredible girls. 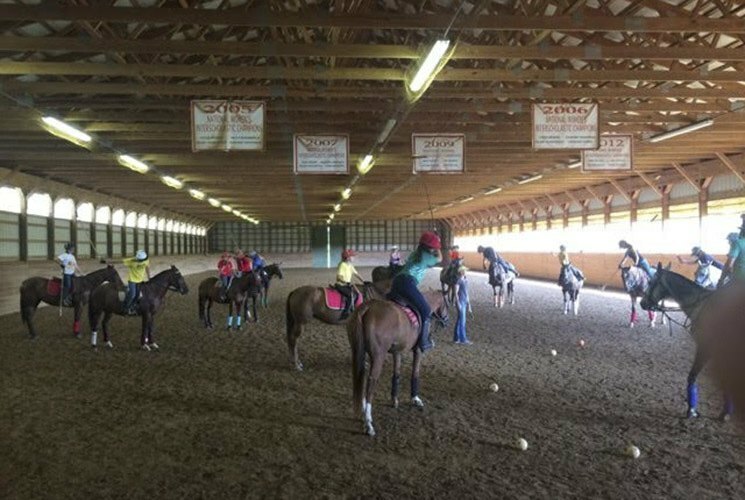 I have a very active barn with a lot of young girls learning to ride and play polo. 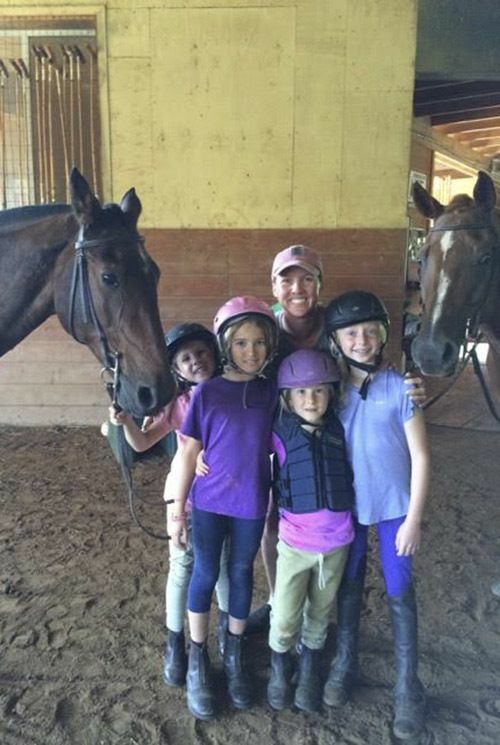 I teach a young girls group of girl’s polo each week that includes 7- , 8- and 9 –year- old -little girls! 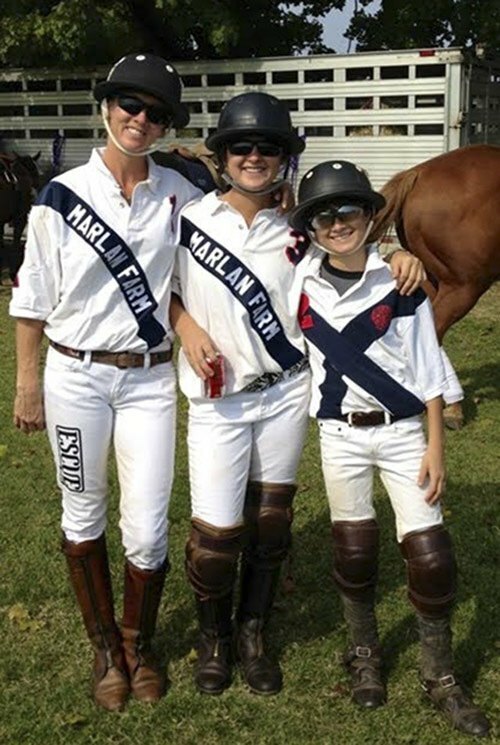 A good way to see some cool photos and videos of our program is to check out Marlanfarmpolo on Instagram. My son is the “producer” and he is very good at it! My team was very young this year, the youngest ever to win a girls’ National: Catie Stueck (12 years old) Sophie Grant (12 years old), Abbie Grant (15) and Maddie Grant (16). The entire team returns next season. My team went in as a wildcard because we got beaten at Regionals by 2 points in the finals. For the weeks in between Regionals and Nationals, my team buckled down and worked on what they needed to to win the title. Their efforts paid off as they played extremely strong in both the semis ( 22-5 over Central Coast) and finals 15-8 over Garrison Forest. Maddie Grant was named the No 1 All-star at both girls’ regionals and Nationals. She is 16 years old and has been playing with me since she was in 6th grade. 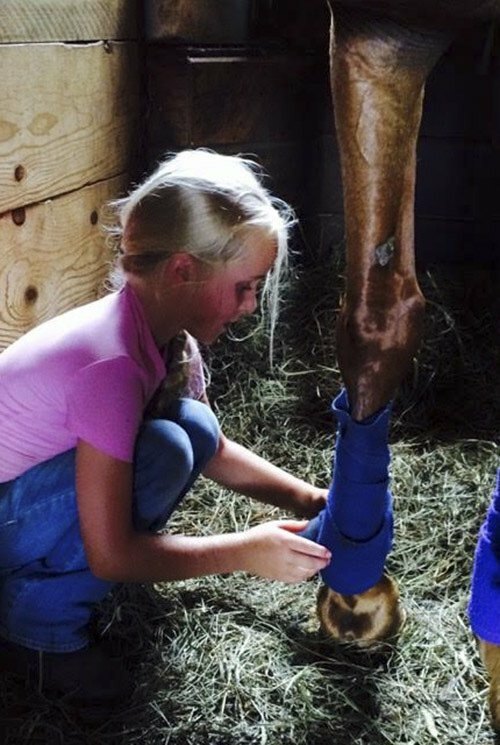 Her two sisters are also on the team and very committed. The other important details about this year’s girls’ Nationals are in the press release below from the USPA. 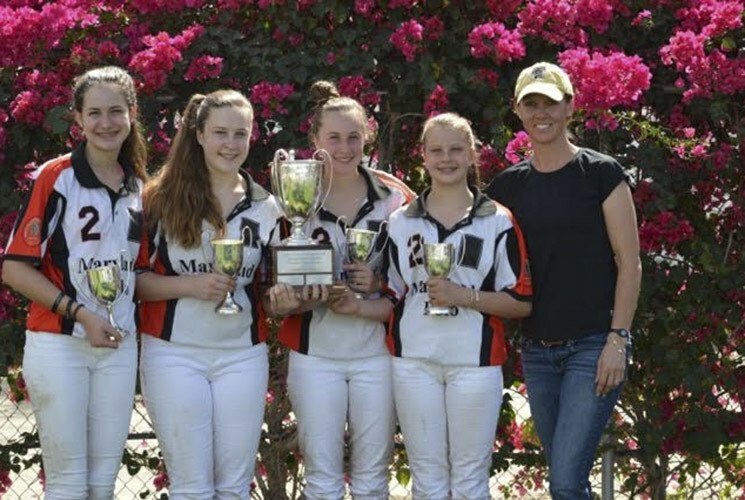 The Maryland Girls’ Interscholastic Polo Team won the Girls’ National Interscholastic Championship for a third consecutive year, defeating Garrison Forest 15-8 in the final at Empire Polo Club in the 25th anniversary event. 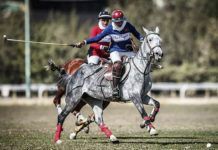 Five of the top high school girls’ polo teams qualified for the finals, including Cornell Interscholastic Polo Team, Culver Academies and Central Coast Polo Club. 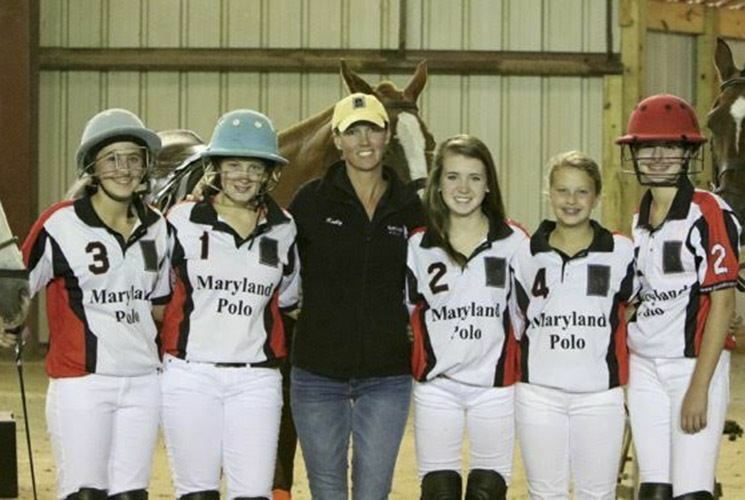 The Maryland Girls’ Interscholastic Polo Team, based in Freeland, Maryland, included Catie Stueck and three sisters: Abbie, Maddie and Sophie Grant. 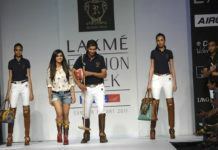 Maryland dominated the competition, leading from the first chukker to the last. Wiley scored the first goal, and Maddie Grant answered with three consecutive goals, two on penalties and one from the field. 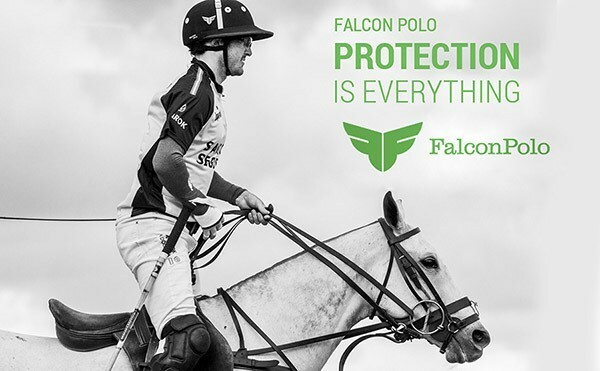 At the end of the first chukker Maryland led 3-1. Bennett was on fire in the second, scoring three goals for Garrison Forest, two on penalties and one from the field. Maddie Grant scored two more goals for Maryland, and Sophie Grant also contributed to the scoreboard. Maryland led 6-4 at the end of the first half. 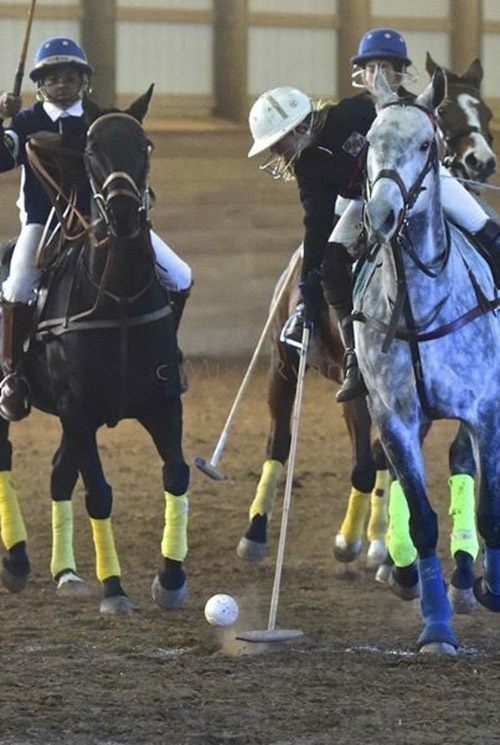 Maryland pushed on in the third chukker, scoring four goals to Garrison Forest’s two. Maddie Grant sent two through the posts, and Stueck scored once from the field. 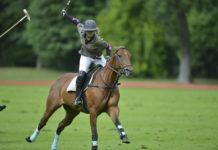 Reynolds and Wiley scored from the field for Garrison Forest for a Maryland lead of 10-6 going into the final chukker. Wiley and Bennett scored two more goals combined from the field for Garrison Forest, but Maryland would not be denied. Stueck scored on a penalty and from the field, and Maddie Grant scored three more goals from the field, giving her a total of 10 goals. 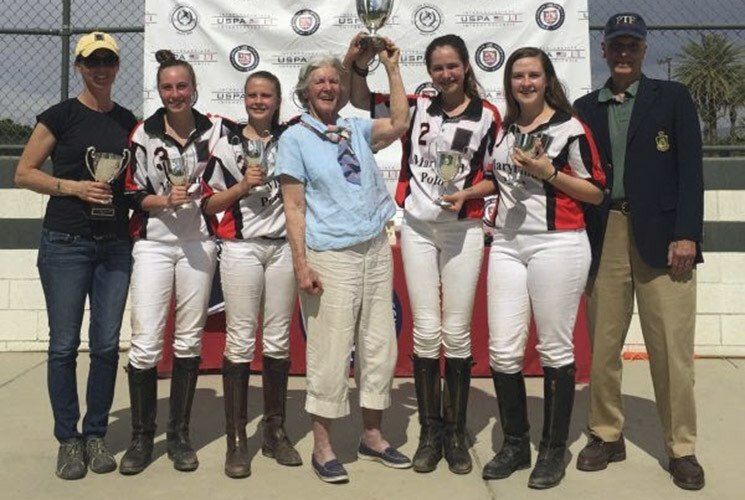 The Girls’ USPA National Interscholastic Championship is part of the United States Polo Association’s Intercollegiate/Interscholastic (I/I) polo program, which is dedicated to growing the sport by providing exposure to it, coordinating activities, recruiting collegiate and scholastic institutions and providing organized competition at regional and national levels with an emphasis on sportsmanship, fairness and safety. 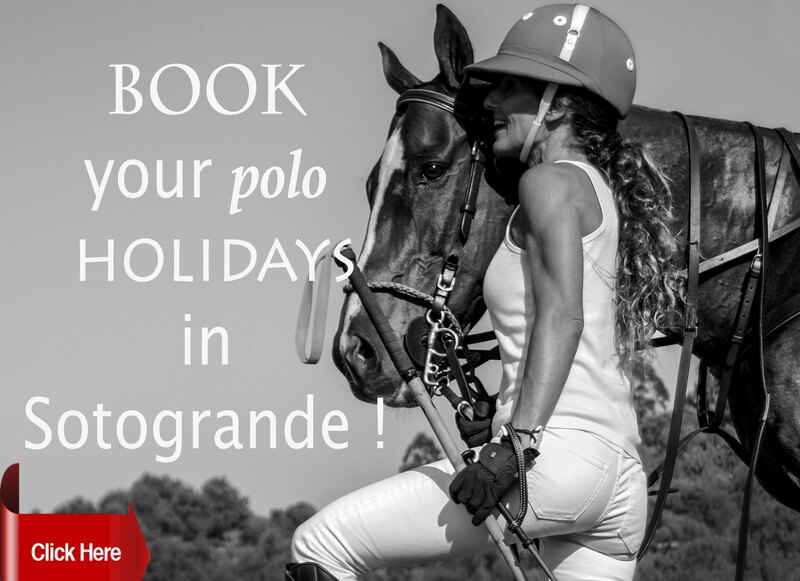 Next articleWomen’s Polo Master, Tuscany, Italy.